Are you having a recent posts widget in your sidebar or footer? Do you want to show excepts along with the post’s link ? If yes, then this tutorial could be useful for you. In this guide, we have shared 3 awesome WordPress plugins, which displays recent posts with excerpts optionally. 1) Reduces bounce rate and improves CTR, which ultimately increases traffic. 2) If excerpt is a unique then it can be good for search engine optimization. All of the below plugin do almost same task, you can choose any one of them based on the settings and configuration you require for your blog. I have provided the screenshot of configuration page for each plugin. Using this plugin, you can control how many recent posts you wanna display and for how many posts you want the excerpts to be displayed. In the below settings, out of 5 recent posts, only 2 should display the excerpt. The result page screenshot is just below this setting page. This is how the result would look like on you site, if you choose the above settings. 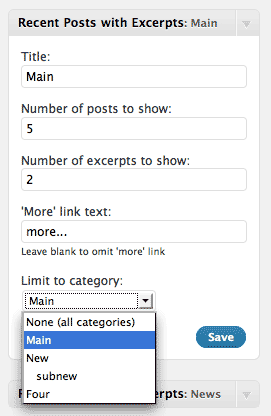 If you wish to have the excerpt for all the posts then give the same number in both the text fields(2nd and 3rd). This plugin has a pretty simple setting page. As you can see that everything you can specify in the widget itself. 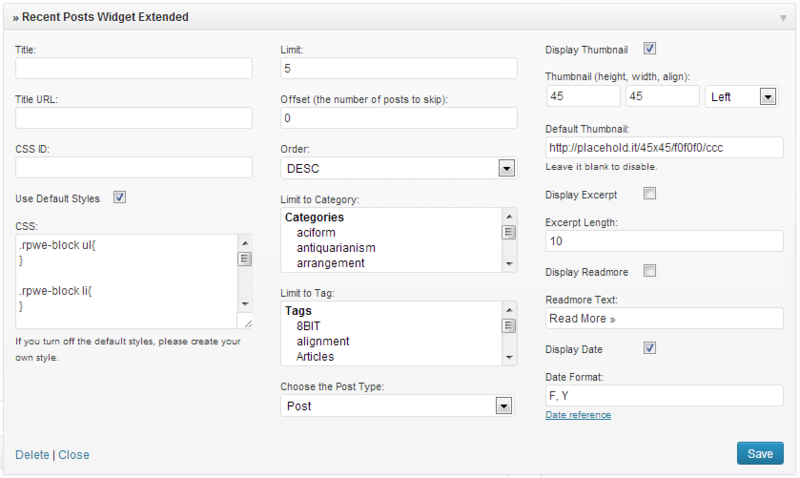 With this, you can control lot of things such as choosing excerpt length, thumbnails size, comments, displaying the posts based on category etc. The features of this plugin is moreover same as the above plugin along with two additional features. It provides you the control of showing recent posts based on the tags too. You can also specify default thumbnail (which would be used when the post doesn’t have any image). This is how the configuration page looks for this plugin. Do share your thoughts via comments. If you know any other plugin, which displays excerpt in recent posts widget then please share it with others.